Leading Manufacturer of Fresh Oyster Mushroom, Mushroom Spawn, Mushroom Pickle, Mushroom Spawns, Fresh Oyster Mushrooms and Dry Oyster Mushroom from Barasat. Oyster Mushrooms are cultivated in pesticide free lands and contain numerous healthy nutrients. 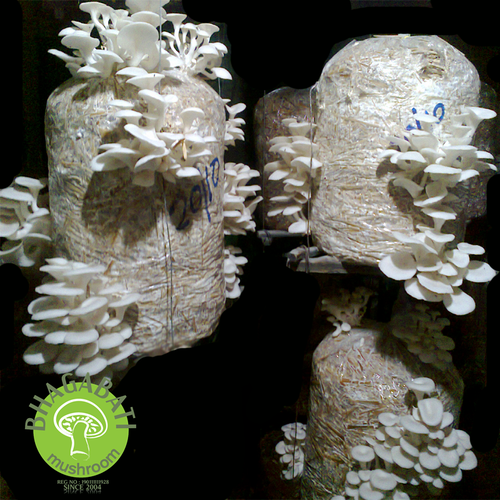 We offer Oyster Mushroom which are handpicked by our experienced farmers. We ensure that the Oyster Mushroom, supplied by us is processed in very hygienic conditions by using the latest technology. We provide the delectable and nutritious Mushroom Pickles in the markets. The mushrooms are chopped and mildly spiced and preserved in oil for preparing Mushroom Pickle, thus it has a long shelf life. These are prepared under hygienic conditions, are natural and very delicious as well. Our Mushroom Pickles help in effective digestive process, and prevents various diseases. This Mushroom Pickles have a unique taste and aroma.